The last two episodes of KING OF DRAMAS remind me why I. Hate. Korean. Dramas. They just cancelled off all the goodwill that was built in the series so far. Almost. The only saving grace was this guy. Why the drama turned out this way may be because of the two-episode extension, although I have a feeling that episode 17 was the one filled with fillers and the intended ending was really that: that Anthony Kim, aka the king of dramas, will come full circle. I like that concept because in the first episode, we see Anthony doing everything to deliver the last tape to the studio and getting into an accident. That same thing happened in the last episode, but I just feel that the car crash was too forced and the hospital scene that followed lacked tension and logic. 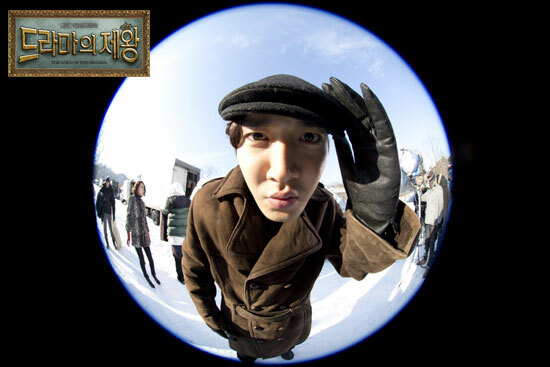 They say that leave your disbelief at the doorstep when watching films or dramas. Fine. But I hate it when the show thinks the audience is stupid and goes ahead in treating it that way. The eyesight disease arc was acceptable but stretching it to the limit was just too much and reminded me once more that I am watching a Korean drama. No wonder there are a lot of depressed people in the world. This is the kind of drivel that people like to watch? People in miserable conditions and relationships as if there were not enough of those in real life? 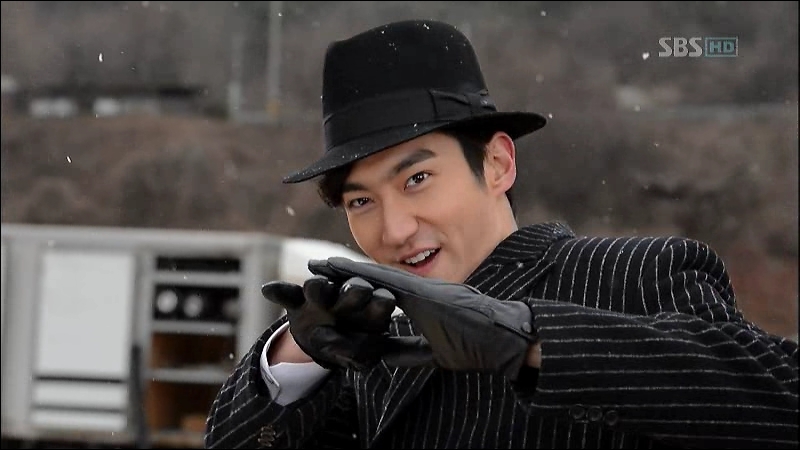 Fine, I go for escapism and that is why I like the fun that the role of Choi Siwon as Kang Hyeon-min provides. Though they say that the role was really patterned after several real actors, who cares? And who is surprised? I’m not. He’s fun to watch. And the thought that this role is based on real people makes it even more fun. 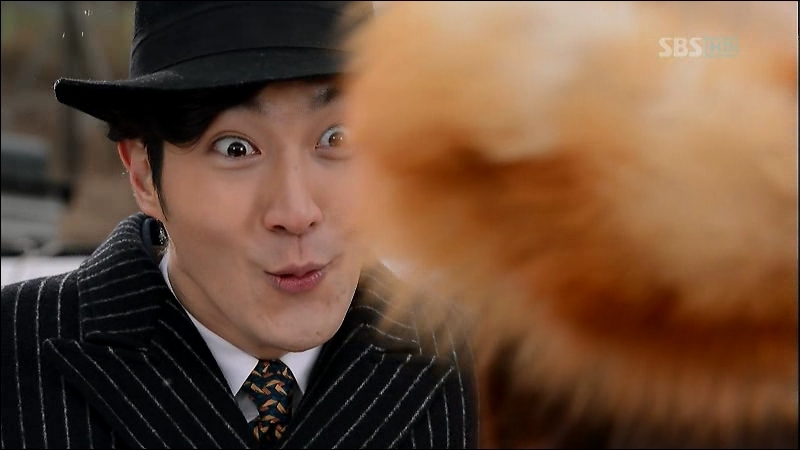 And watching Siwon obviously enjoying the campy role is thrice the fun. Especially when you’ve seen him in OH MY LADY and EXTRAVAGANT CHALLENGE, where he played an actor too. At least if you’re going to take another actor role, make it different, deshou? And that’s what he did with Kang Hyeon-min. Of course credit goes to the writer of KING OF DRAMAS for giving us such a character. And speaking of writer, of all the characters, it was ironically the female lead character Lee Go-eun, that did not grow on me. Perhaps it had something to do with the portrayal of Jung Ryu-won, who hasn’t gotten rid of the annoying tongue-and-lips mannerism she had since MY NAME IS KIM SAMSOON. It’s disgusting. And her character was the only one, in my opinion, that did not really grow. Ironic that it was the writer character who had little character development. From start to finish, she was this dreamy, sentimental writer and nothing else. When it comes to character development, Kang Hyeon-min had the advantage because from the bottom of a clueless airhead, there is nowhere to go but up, right? In this photo below, he is shown with his personal assistant Kwang-soo who was also fun to watch. It’s nice that Kang Hyeon-min did not lose his shallowness and self-absorption until the end but more of his humanity was shown throughout the series. His character change was not only physical, like cutting his hair for the role. But developing into someone who realises his weaknesses and tries to improve. It gives one hope that there is space for a human being in a head full of air. But it would have been too fairy tale-like if they suddenly turned Hyeon-min into a smart, upright character like most leading men are, so it’s just right they left some air in his head. And yes, he had a happy ending with Sung Min-ah. Which brings me to the point… why couldn’t they have just milked this angle for the series extension instead? They could have focused on how the hate relationship between the two actors developed into love instead of blurry scenes of Anthony losing his eyesight (then miraculously not having any attacks at the final reading of the script). I wouldn’t have minded additional doses of Kang Hyeon-min and I don’t think majority of the audience would too. Unless of course it had something more to do with scheduling problems with the real Siwon. Meta much? 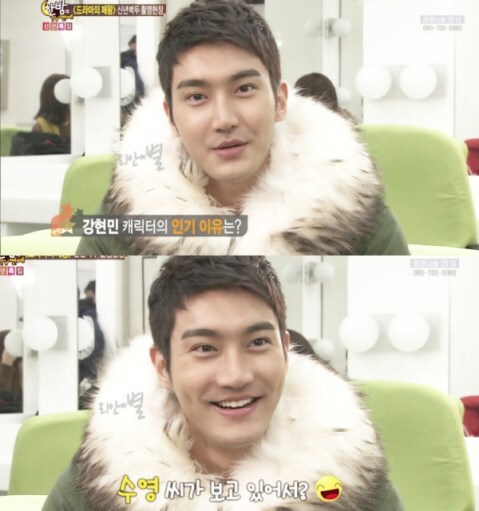 What added more fun to the Kang Hyeon-min character was Siwon (or his team) creating a Twitter account for the actor. Here’s an article on it and the comments are funny; apparently, Siwon has many clueless fans too or they are just riding along with the fun? I hope it’s the case of the latter because if they are really clueless and perhaps do not understand the meaning of parody, then there is no hope for this world. 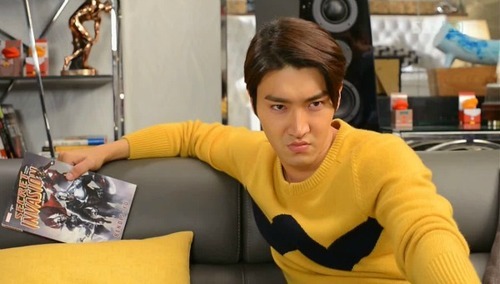 Finally, I hope Siwon gets recognized for his acting here. It’s not “melo” acting that would drown you in tears and make you miserable for the rest of your life–or until the next Korean drama you watch–but his efforts are worth rewarding. It’s not also everyday that you find an actor willing to play such a role that may be close to home. And it goes without saying that the king of this drama for me is Kang Hyeon-min. Long live Kang Hyeon-min!! !